Cristiano Ronaldo has received a brand new signature boot that knows no boundaries. 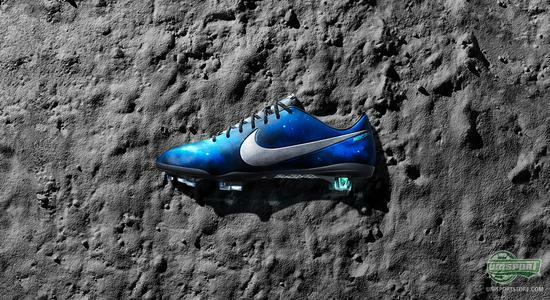 So fasten your seat belts and come with us for trip to a galaxy far far away, where the Nike Mercurial Vapor IX CR7 Galaxy resides. It has been a long time coming. This is however to be expected, when coming all the way from space and down to us here on earth and Unisportstore.com. But now it is finally touchdown. 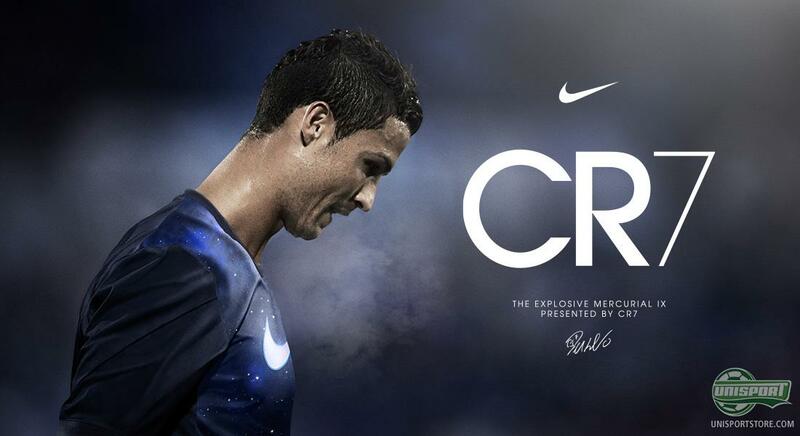 The Nike Mercurial Vapor IX CR7 Galaxy is no longer just rumours, it is now reality. Ever since it landed here at Unisport, our photographers, graphics designers and writers, have been dying to make a campaign for this wondrous boot. 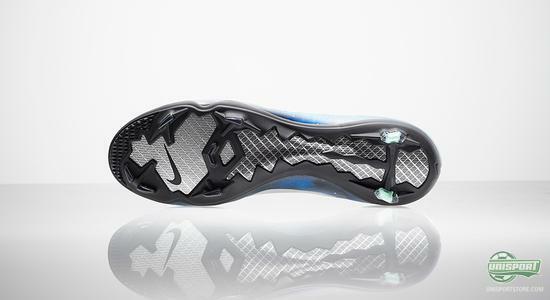 Because a boot like the Nike Mercurial Vapor IX CR7 Galaxy deserves the very best and that is exactly what it will get and you can therefore already explore everything there is to know about the new boot. The idea for the design came as a team of Nike designers watched a game, where the commentator, after yet another CR7 goal, asked if Ronaldo is even from this planet. Afterwards they realised that Ronaldo's way of playing is very similar to the definition of a supernova star; a stellar explosion that creates immense energy. Later today we will be taking a closer look at the new boot, but it does not take many glances at this boot to realise, this boot is something special. 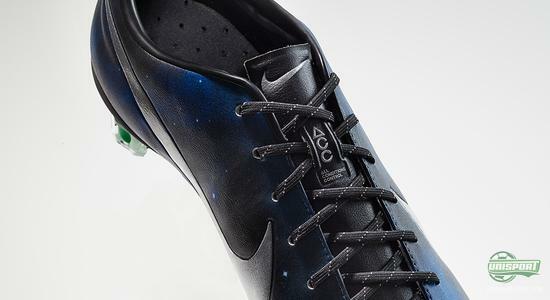 The design is bold and unlike anything we have ever seen before, just like the man the boots were made for. Confidence is a must, when you strive to be the very best. This boot is made for the player to wants to be the very best and constantly breaks the barriers and limitations, which other people place in front of them. 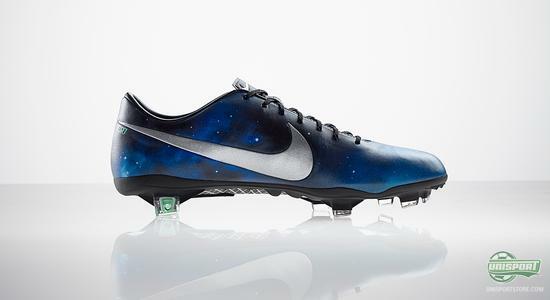 The Nike Mercurial Vapor IX CR7 Galaxy is perfect for Real Madrid's number 7. It is perfect for the attacking, goal-getting player, which is a bracket Ronaldo certainly fits into. It will fit in well at the Santiago Bernabeau, the home of the Galacticos and it will shine bright on the feet of the biggest star among the Real Madrid bunch. Nike have with their latest signature boot done their bit to create a boot, which reflects and matches Ronaldo's perosnality and ambitions. 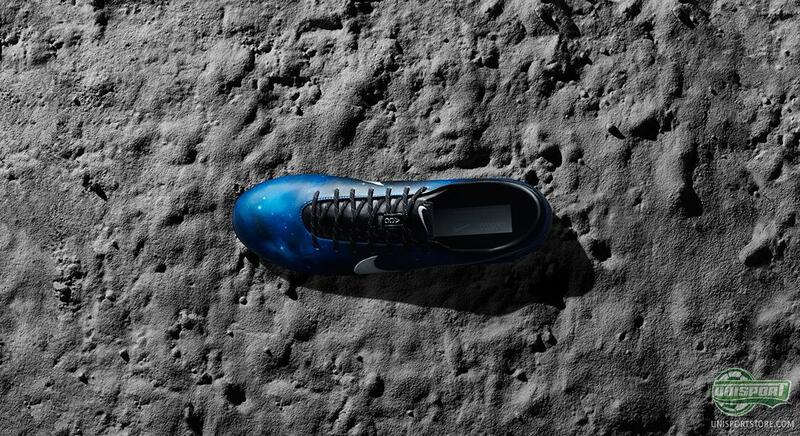 The new Nike Mercurial Vapor IX CR7 Galaxy is made for speed. Whether you are trying to break through the atmosphere and into space, or if you are charging through defenses and closing in on goal. Designed for the player who wants to break boundaries, inspired by the player, who has broken all his. 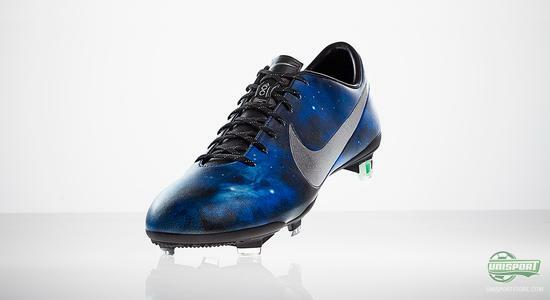 We will be seeing a lot more of the Nike Mercurial Vapor IX CR7 Galaxy, but already now we warmly welcome it to Earth and to Unisportstore.com. Nike Mercurial Vapor IX CR7 Galaxy has finally touched down and you already explore the new boot right here. Later today we will also be taking a closer look at Cristiano Ronaldo's new boot on Unisportstore.com, so keep an eye out. What do you think about the new Nike Mercurial Vapor IX CR7 Galaxy? And do you think Cristiano Ronaldo can become the worlds best footballer? As always we would love to your comments here, on Facebook, or on Twitter.